Although not inherently harmful themselves, insect larvae are a good indication that your sample is starting to go anaerobic. 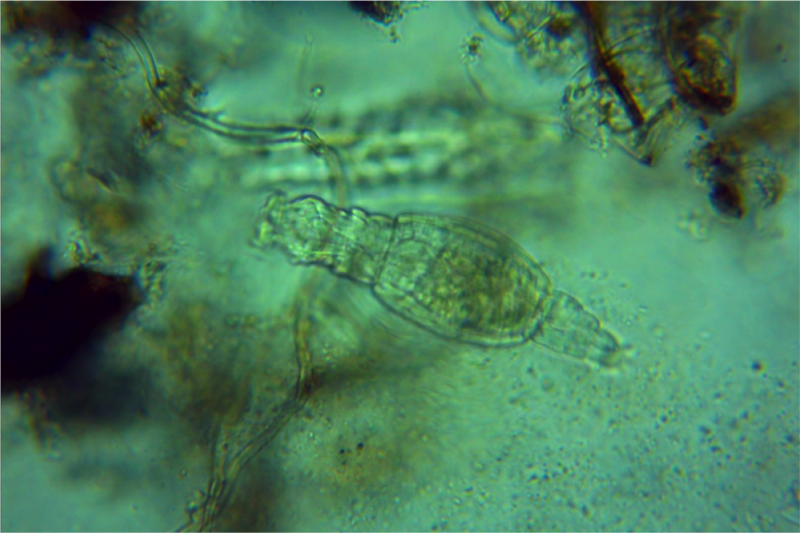 When looking under the microscope, insect larvae appear much larger than other microbial life. Their bodies are separated into three distinct shapes; the head, the thorax, and the tail. Insect larvae will secure their tails to an object and use their spring-like bodies to move their heads around while feeding.